Daruma dolls are symbols of good luck, hope and optimism. They are weighted at the bottom so no matter how many times you push them over, they bounce right back - symbolizing optimism and the never say die spirit. Due to the large size of this item, the cheapest shipping method is Express Mail Service. Paint in one eye with a black pen, make a wish and when that wish comes true, paint in the other other eye. 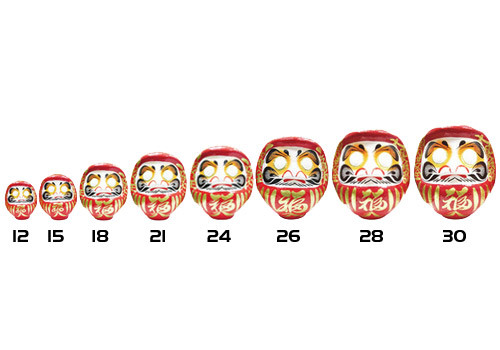 Daruma dolls are used in Japan for many purposes, most often for luck at the beginning of an undertaking of some sort. Politicians are regularly seen painting in the eye when they have won an election. Store and bar owners place them at the front of the shop. 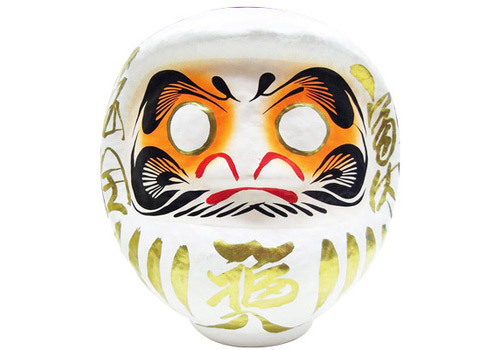 Daruma are often used by people wishing to pass exams, or even conceive a child! Daruma dolls are a representation of Bodhidharma, the father of Zen in Japan. He is said to have lost the use of his legs after meditating for many years.